I’ve been wanting to add a few desserts to the site. Problem is, I’ve never been all that great at making desserts. So I called in a heavy hitter. My Mom always has the best desserts after every dinner she makes. Cakes, pies, you name it, she does it. 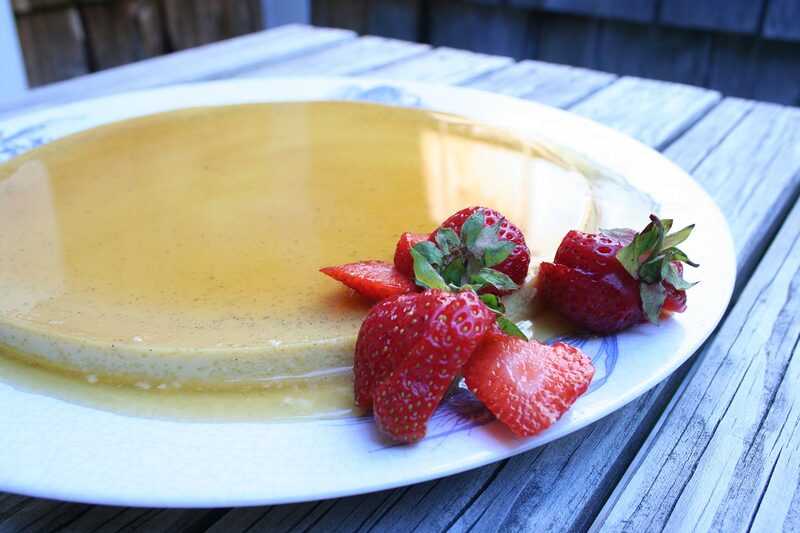 We chatted for a bit and looked through some recipes and decided to make a flan. We decided to make it with a touch of Kahlua. It came out incredible. It’s not all that difficult to make. 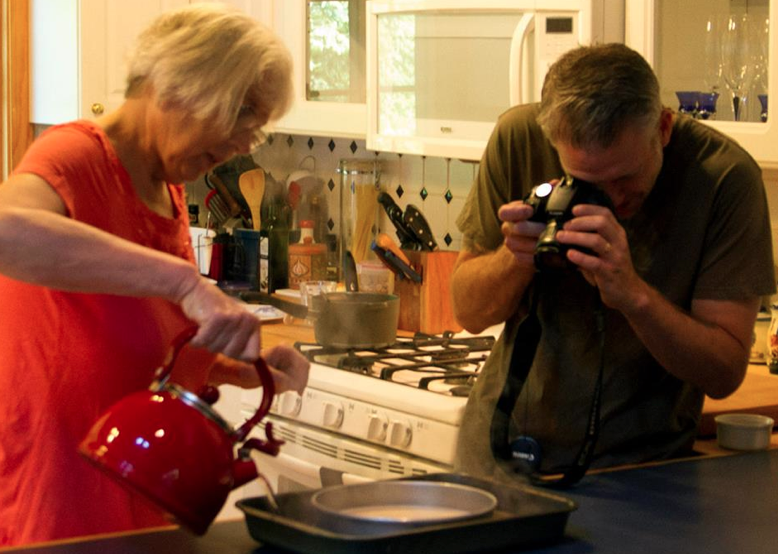 Like most desserts, it’s all about timing and patience. Thanks Mom for bringing both of those traits to the table in spades. Awesome. Preheat the oven to 280º. Use a knife to slice the vanilla bean in half and scrape the seeds into a small pan. 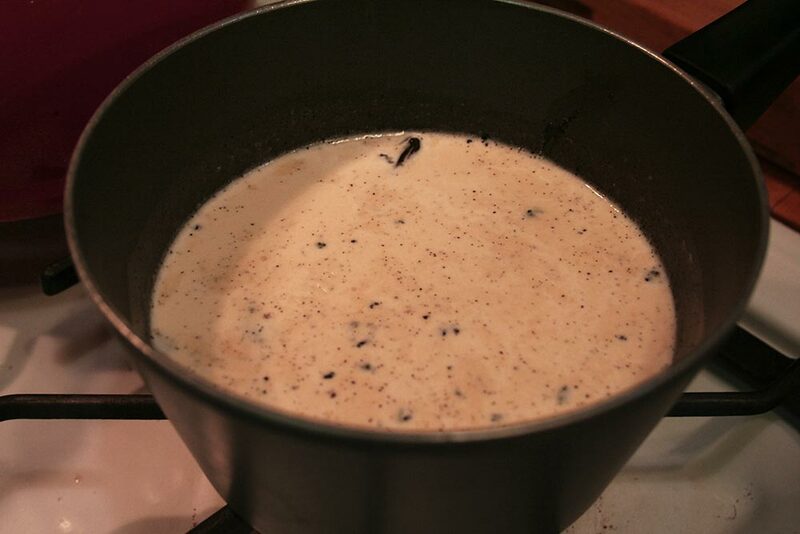 Add the vanilla bean, milk, cream, and kahlua. Heat over low heat for 5 minutes. 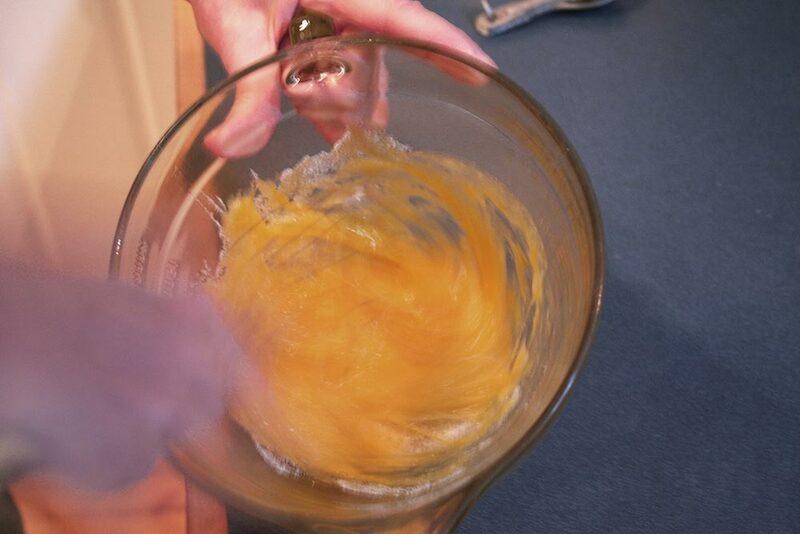 In a large bowl, whisk together the eggs, egg yolks and sugar. Slowly wisk in the warmed cream mixure. 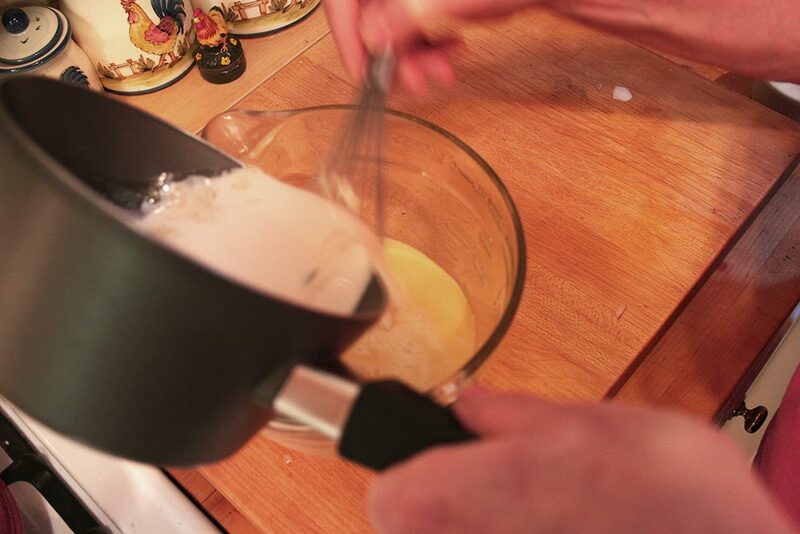 Don’t wisk too briskly. You don’t want bubbles. Strain to remove any egg bits and any large vanilla bean pieces. Set aside. 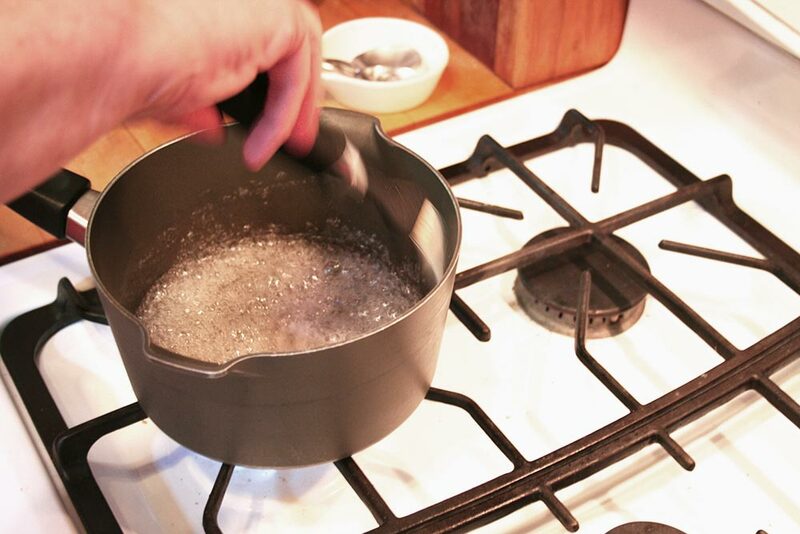 Combine sugar and water in a small saucepan. 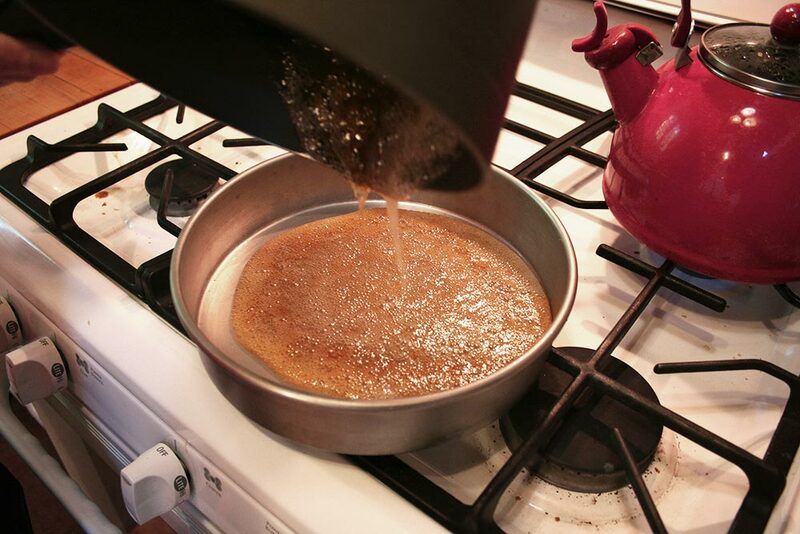 Stir, while cooking over low heat until the sugar is dissolved. 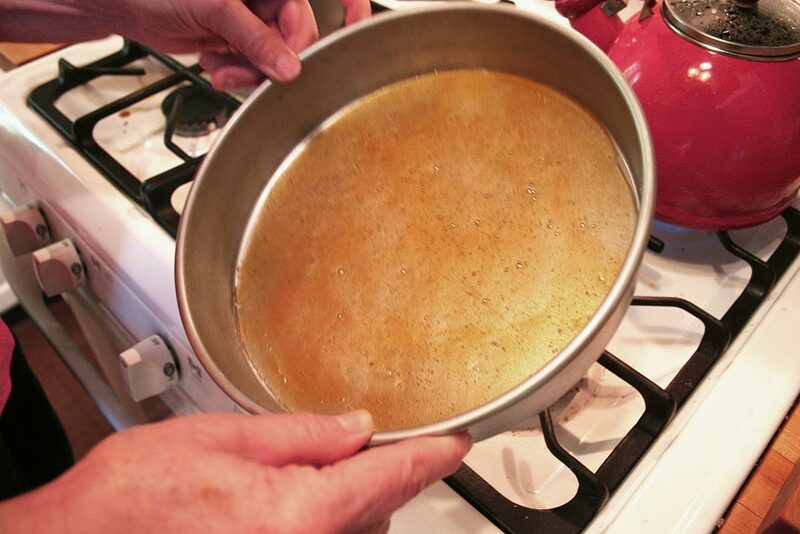 Increase the heat to medium-high and bring to a boil. Let the mixture boil for 6-8 minutes without stirring. 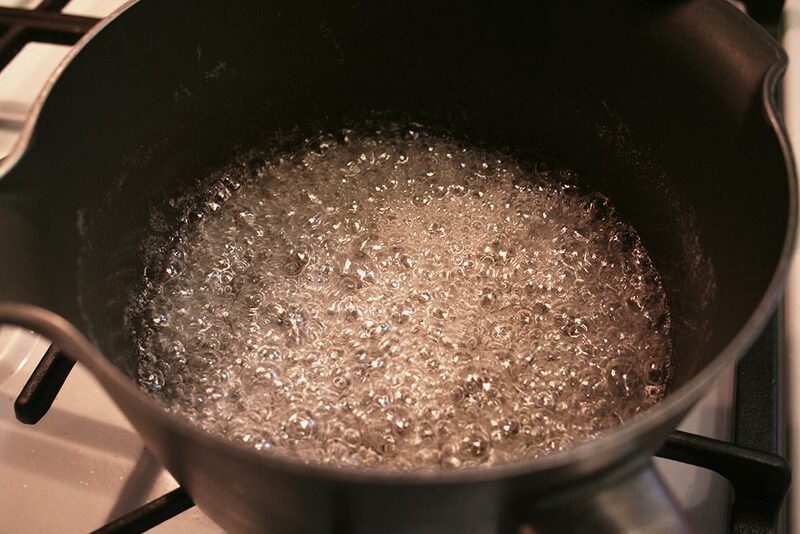 Use a kitchen brush with cold water to clean sides of pan if sugar crystals form. 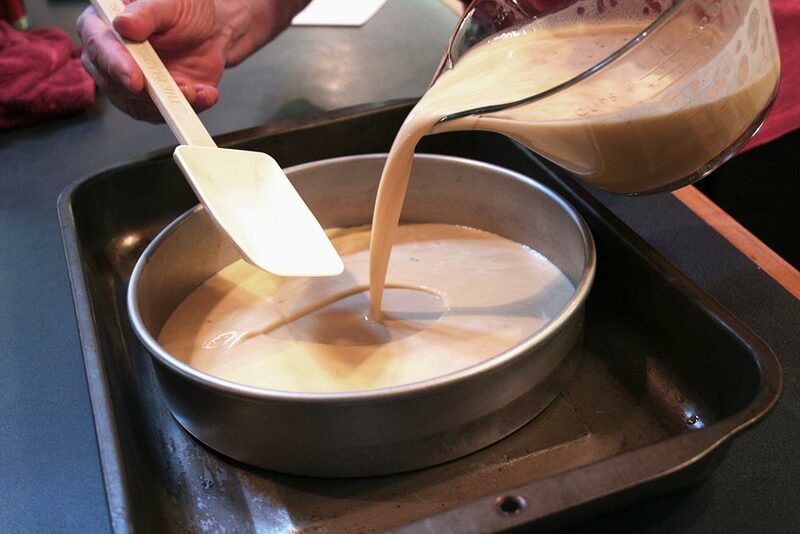 Once the mixture turns a golden brown, immediately remove from heat and pour into the bottom of a pie pan. 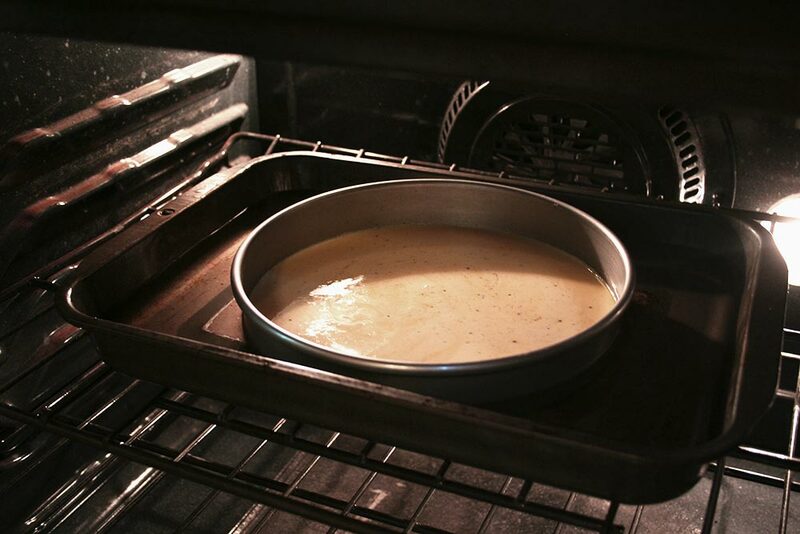 Pick up the pan and swirl around to evenly coat the bottom of the pan. Let cool for a few minutes. 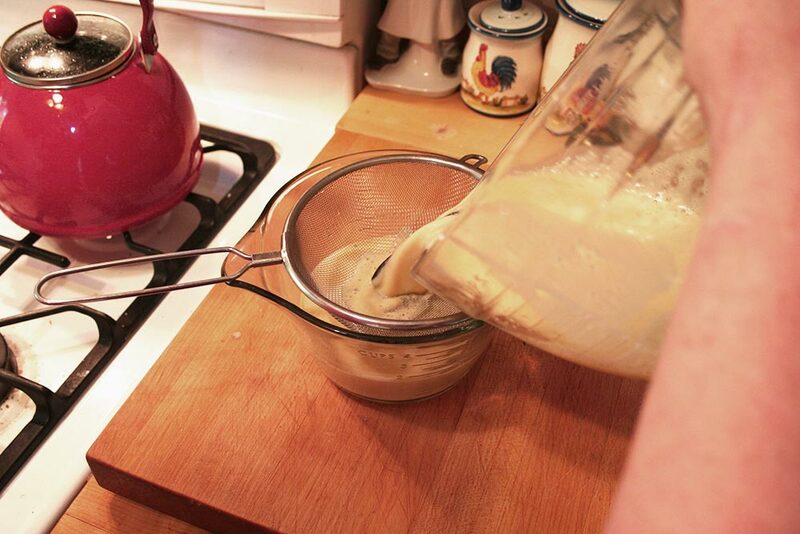 Pour strained egg/cream mixture over the cooled caramel. Place the pie pan in a roasting pan and fill the roasting pan with boiling water so it reaches half way up the pie pan. Place in oven and bake for 50 minutes. You’ll want it set and a little jiggly. Remove from oven. Let cool for 30 minutes. Cover with plastic and refrigerate for at least 3 hours or overnight. When you’re ready to serve, remove from fridge. 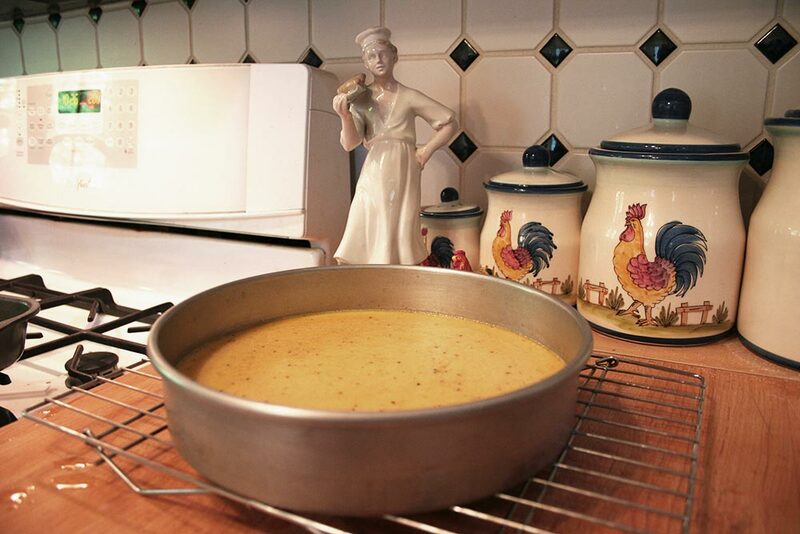 Carefully run a knife around the pie pan between the flan and the pan. 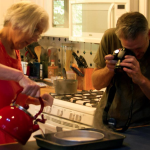 Place a serving plate (larger than pie pan) on top of pie pan and quickly invert. 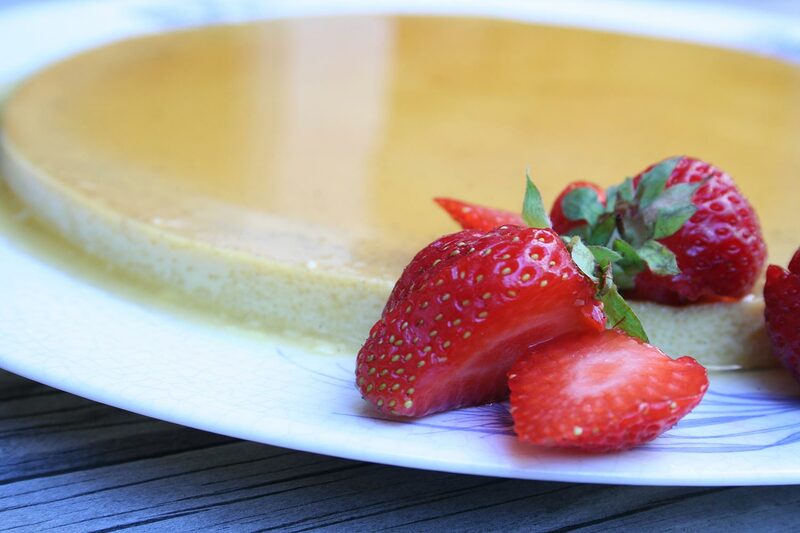 The flan should drop onto the plate. That’s it. Serve immediately.